Read my review of the retail version of Slog here. I am just going to talk about his new Generation One paint job. 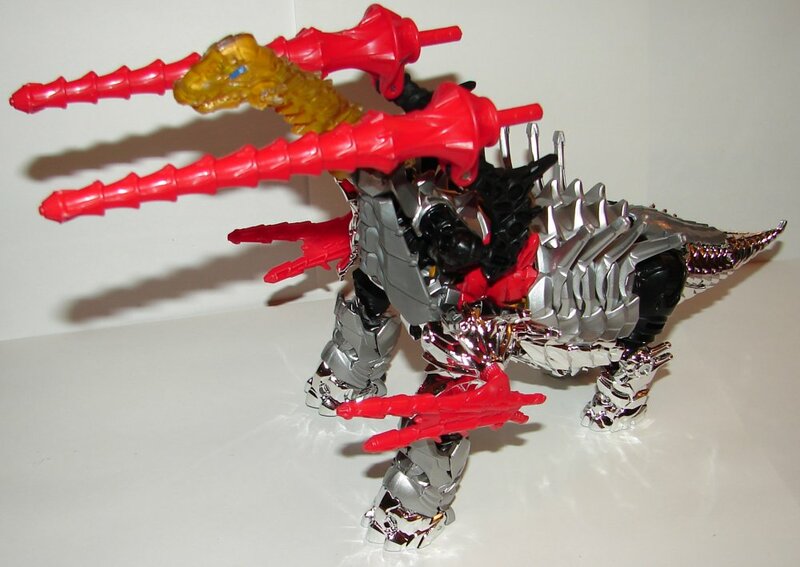 This Slog is the missing toy from the 2014 SDCC G1 Dinobots Set. You can read my review of that set here. Slog looks pretty awesome in G1 colors. It’s unfortunate that we didn’t get this included with the SDCC set, but at least we got it. 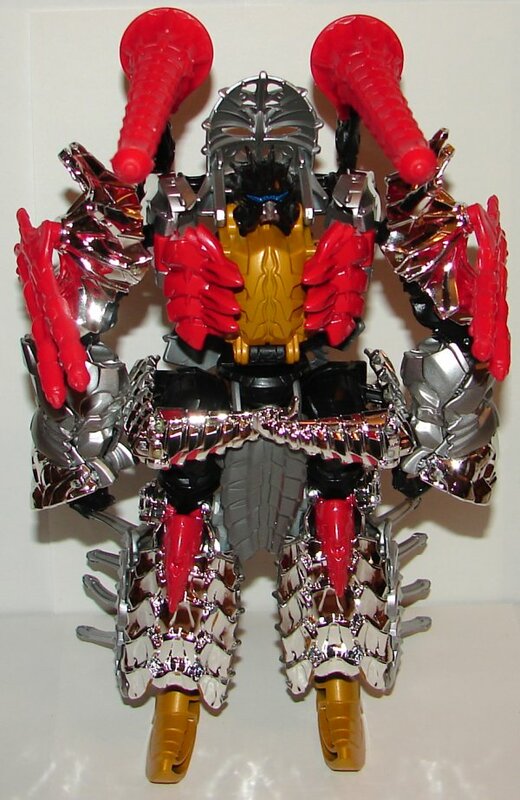 They did a great job coloring him with silver, red, silver chrome, black, and translucent yellow. He looks perfectly G1. I am a little disappointed that he is packed in a regular Slog box, not even a sticker to note him as the G1 version. Hasbro has really phoned the entire AOE line in, and this is just another example of that. That aside, he is an absolute must for anyone who has the SDCC set. You simply can’t call that set complete without him. 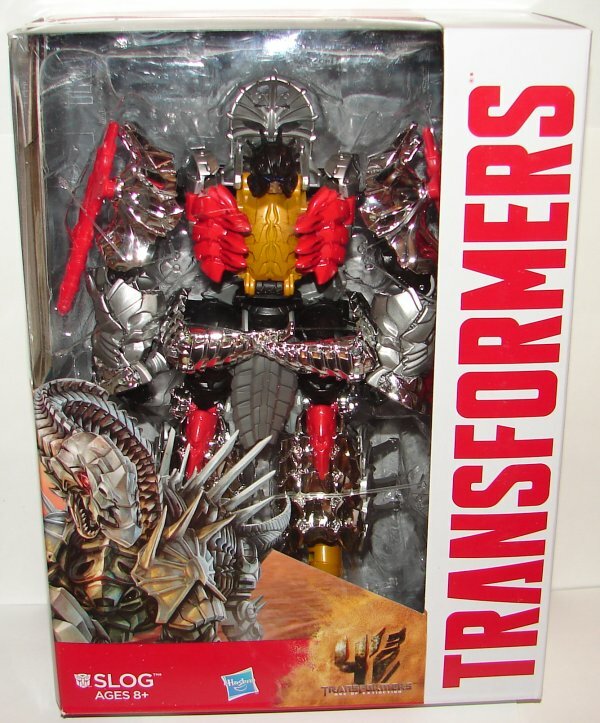 This entry was posted in Toy Reviews, Toys, Transformers and tagged Age of Extinction, Amazon, Amazon.com, AOE, Dinobot Slog, G1, Generation 1, Generation One, Slog, Toys, Transformers, Transformers: Age of Extinction, Voyager. Bookmark the permalink.